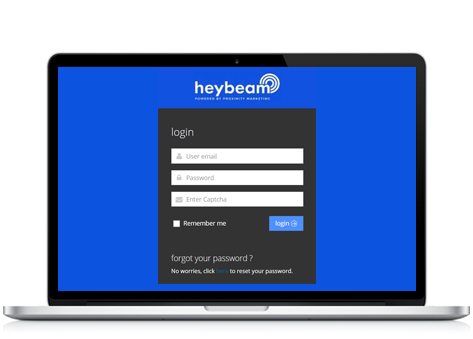 Put your marketing on auto pilot with the Heybeam beacons. It’s that simple. Keep at your store or carry it with you - Your business will get noticed by most nearby smartphone users! Get HeyBeam for your business today! Perfect to help restaurants, retail stores, boutiques, salons, fitness centers, and brick and mortar stores attract new customers. Whether you’re a realtor or insurance agent, HeyBeam is the answer to let new customers aware of your services or product in real time. Choose your Beacon. Start Promoting. Grow your business. Start Reaching Nearby Customers Today!